Annapolis, Md. 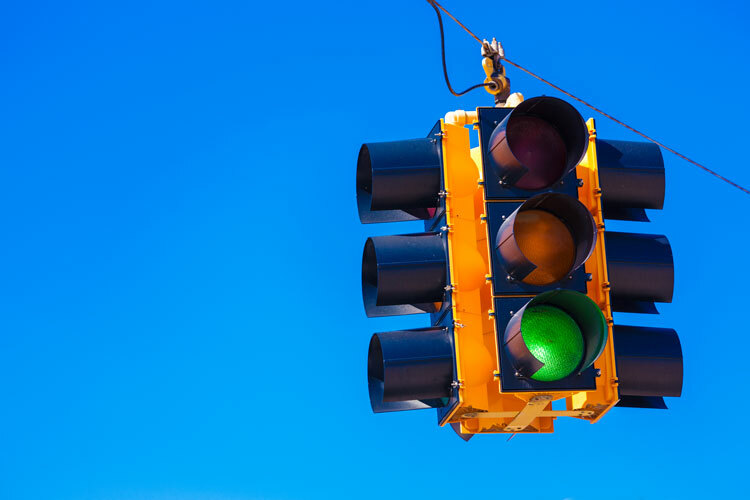 — The Maryland Department of Transportation (MDOT) State Highway Administration (MDOT SHA) is investing $50.3 million to deploy Smart Traffic Signals that will improve traffic operation and ease congestion for approximately 700,000 drivers per day on 14 major corridors across the state. The system uses real-time traffic conditions and computer software that adjusts the timing of traffic signals, synchronizes the entire corridor, and effectively deploys artificial intelligence to keep traffic moving. Smart Signals operate with an adaptive signal control system, which uses enhanced detection to monitor traffic conditions and alter the timing of traffic signals. The smart signals will replace existing controls that are over 20 years old and are unresponsive to the constant changes in traffic flow, operating on programmed timing. Crashes, construction, and special events all contribute to congestion. With this innovative technology, those factors are quickly considered and the software adjusts the timing to the signals accordingly. MDOT SHA operates more than 2,500 signals as part of 250 signal systems. Traffic engineers will select intersections to upgrade to Smart Signals based on many factors, including traffic volume, intersection capacity, and traffic patterns. MDOT SHA conducted a Smart Signal pilot study on MD 24 between Singer Road and Boulton Street in Harford County. Preliminary results indicate a travel time reduction of 13 percent for the 40,000 daily drivers. The Smart Signal Network is the second phase of Governor Hogan’s Traffic Relief Plan. Last month, Governor Hogan announced the first phase to invest $9 billion to add four new lanes to I-270, the Capital Beltway (I-495), and the Baltimore-Washington Parkway (MD 295). Through a public-private partnership, MDOT is seeking private developers to design, build, finance, operate, and maintain new lanes on I-495 between the American Legion Bridge and the Woodrow Wilson Bridge and on I-270 between I-495 and I-70. The Maryland Transportation Authority will build, operate, and maintain the new lanes on MD 295. In April of this year, Governor Hogan announced the advancement of the state’s $100 million I-270 Innovative Congestion Management Project, which will save drivers up to 30 minutes on their morning commute southbound from Frederick to I-495. The winning design-build team was selected following a competitive bidding process to deliver a modern adaptable highway by creating an automated smart traffic system that will move the most vehicles fastest and farthest on I-270 between I-70 and I-495. The project, which is expected to be complete in 2019, breaks 14 bottlenecks and adds 23 new lane miles, more than 25 real-time traffic communication signs, and more than 30 intelligent signals that work together to deliver dynamic traffic management along the entire I-270 corridor.